I always love your photos of your girls. Very cute! Can I just say that I LOVE, LOVE, LOVE it!!! Do you run a photography business? You totally should… these pictures are great!! 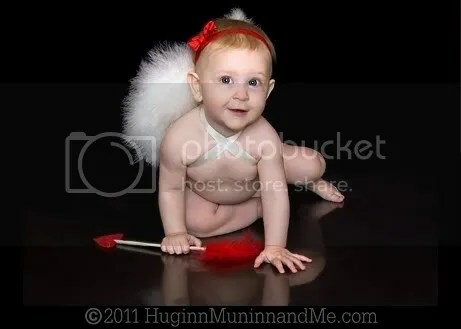 I love the cupid! And happy Valentine’s day to you! Happy Valentine’s Day, T and Ro! T looks so lady-like. 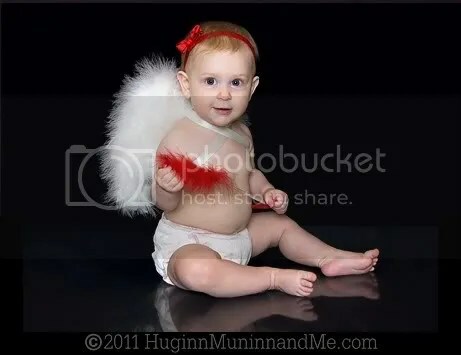 Ro is an adorable cupid, super cute. She’s posed so perfectly in the first pic, it’s just a perfect shot entirely. I love these photos. Adorable! too cute! t ball looks like a larger version of when pop and i got married! love those girls!!! I was wondering if you’d pick up on the fact that she’s holding the same bouquet! I am also very much reminded of the pictures taken that day. 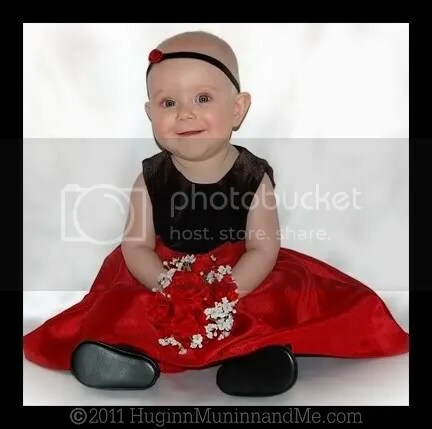 December 31, 2007 – she was 6 months old, so cute! 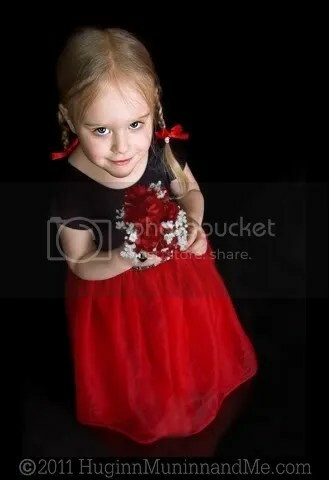 I actually took that dress out the other day to get pics of Ro in it. . . Very cute pictures! T’s hair looks unusually brown. 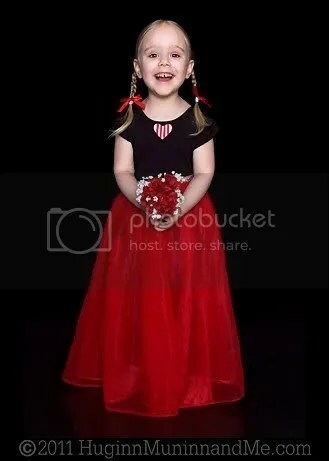 Love the dress… Besides it being a Ki/red thing, it is very beautiful – especially on someone so tiny. beautiful, beautiful, beautiful!!!! ditto on the photography business–you would be great!